RA Sushi Bar Restaurant is a popular sushi restaurant that serves distinctive Japanese-inspired cuisine in a fun, hip atmosphere. 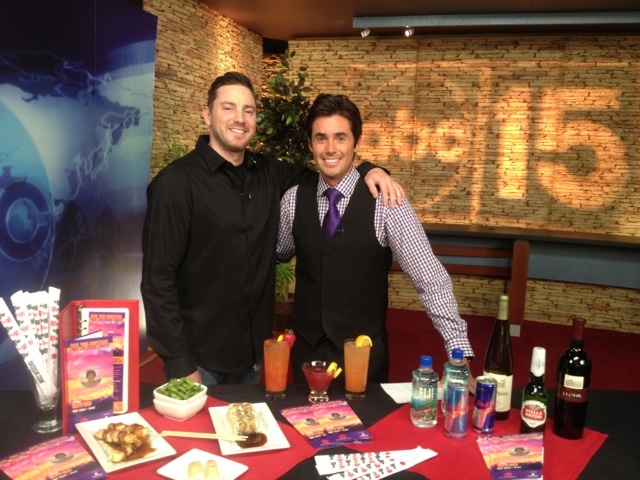 RA Sushi was founded in Scottsdale in 1997 and has since expanded to include six locations throughout Arizona and 27 locations throughout the United States. 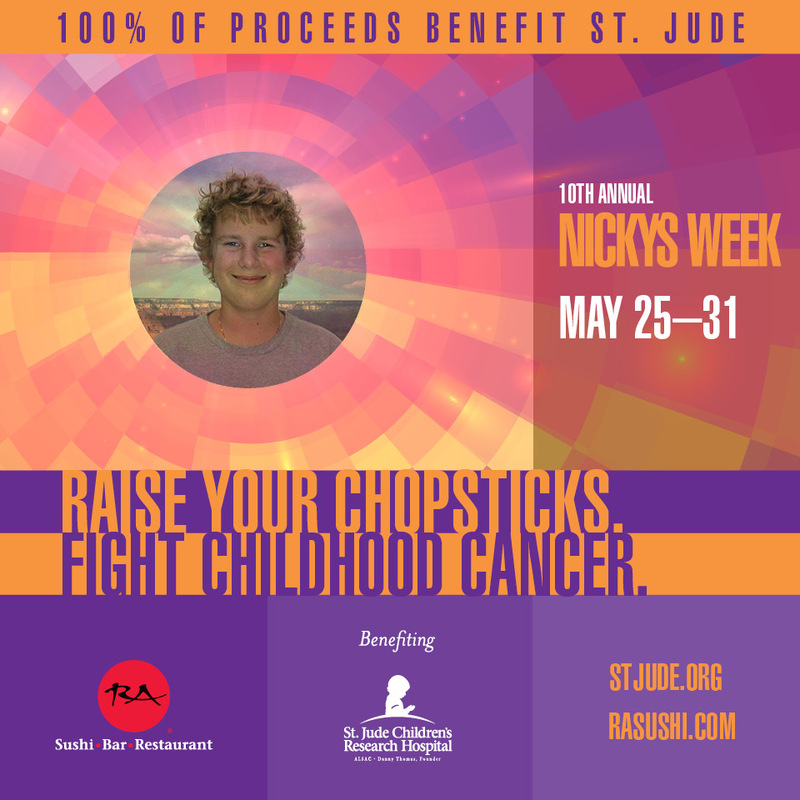 Every year, RA Sushi hosts its largest annual fundraiser, Nicky’s Week, to benefit St. Jude Children’s Research Hospital. The fundraiser was created in memory of Nicky Mailliard, a nephew of one of the original founders of RA Sushi. Nicky lost a battle with a brain tumor at the age of 13. During Nicky’s Week, RA Sushi donates 100 percent of sales from a variety of menu items and beverages to St. Jude to help support the hospital’s lifesaving mission. In 2014, RA Sushi was celebrating the 10th anniversary of the fundraiser. Many changes were afoot within RA Sushi during 2014, so there was added pressure to prove the fundraiser’s worth and effectiveness. Additionally, with 2014 being the fundraiser’s 10th consecutive year, RA Sushi really wanted to make a big splash with the initiative to ensure the fundraising goals were met. Although the fundraiser had gained momentum over the years, there were no significant changes to the program that could create some new and exciting buzz for the 10th anniversary year. To garner the maximum amount of media attention for the fundraiser, Ampersand PR focused its public relations campaign around three core messages that would most resonate with media: 1) The success of Nicky’s Week over the past nine years. 2) The fundraising goals for the 10th anniversary year. 3) Nicky Mailliard, the local teen for which the fundraiser was created in memory of. Additionally, Ampersand PR stayed in constant communication with the local division of St. Jude to capitalize on all possible story opportunities and expand the fundraiser’s social media presence. Nicky’s Week Was a Success! Across all RA Sushi locations nationwide, the initiative reached its fundraising goal, raising more than $175,000 for St. Jude Children’s Research Hospital. RA Sushi hosts an internal contest to see which stores can raise the most money. Two of three of the highest earning locations were in Arizona. Placements were secured in more than 20 print, online and broadcast media outlets, including So Scottsdale magazine, Arizona Foothills magazine, East Valley Tribune’s Get Out, as well as 10 different placements in The Arizona Republic, plus morning show segments on FOX 10, ABC 15, and AZTV 7.